Advocates for innovation and education will speak at The University of Toledo spring commencement ceremonies Saturday, May 3, in Savage Arena. During the 9:30 a.m. ceremony, Deborah L. Wince-Smith, president and CEO of the United States Council on Competitiveness, will speak to the graduates from the colleges of Health Sciences, Adult and Lifelong Learning, Social Justice and Human Service, and the Judith Herb College of Education. G. Rangaswamy, chair of the Chandra Group in India and managing trustee of the GRG Trust, will address graduates during the 2 p.m. ceremony for the colleges of Natural Sciences and Mathematics, Business and Innovation, Communication and the Arts, and Languages, Literature and Social Sciences. There are 2,711 candidates for degrees; these include 124 doctoral candidates, 554 master’s candidates and 1,941 bachelor’s candidates. The remaining 92 candidates are for education specialist, certificates or associate’s degrees. Each ceremony will be broadcast live on video.utoledo.edu. 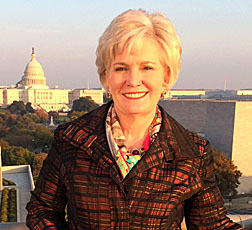 Wince-Smith will receive an honorary doctor of public administration. She has been credited with recharging the national debate on competitiveness, innovation and resilience. She has been called upon frequently to testify in front of the U.S. Congress and appears regularly on global television news networks, including Bloomberg, BBC, CNBC, CNN and Fox News. Since 2009, Wince-Smith has served as president of the Global Federation of Competitiveness Councils, the first international, public-private mechanism to promote global economic growth through collaboration in innovation. During her 17-year tenure in the federal government, Wince-Smith held leading positions in the areas of science, technology policy and international economic affairs. She served as the nation’s first Senate-confirmed assistant secretary of commerce for technology policy in the administration of George H.W. Bush. During the Reagan administration, Wince-Smith was appointed the first assistant director of international affairs and competitiveness in the White House Office of Science and Technology. In 2004, she spearheaded the groundbreaking National Innovation Initiative, which played a pivotal role in creating a reinvigorated U.S. competitiveness movement. The initiative shaped the bipartisan America Competes Act, created state and regional innovation initiatives, and brought a global focus to innovation. Rangaswamy oversees more than 35 organizations facilitating education, training and employment to empower the work force of tomorrow. His efforts have opened the doors to educational opportunities in the fields of medicine, arts and sciences, industry, and technology. As managing trustee of the GRG Trust, Rangaswamy has significantly contributed to the emancipation of women through higher education and training. He manages five educational facilities exclusively for girls and young women in Coimbatore, India. His efforts to expand educational opportunities have directly impacted more than 30,000 students, from kindergarteners to those pursuing doctoral degrees. Rangaswamy is a founding trustee of PSG and Sons Charities (PSG), which provides quality education funded by philanthropic contributions. PSG manages six colleges, including a medical school and hospital. Rangaswamy spearheaded the modernization of the hospital by collaborating with medical equipment manufacturers, securing funding for clinical trials, and establishing policies to provide quality, affordable medical care. 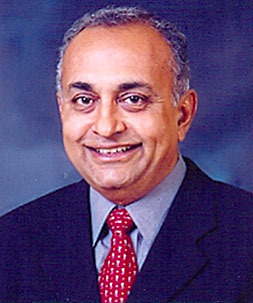 Rangaswamy pioneered the first foreign partnership for PSG in collaboration with The University of Toledo College of Business and Innovation. Under this joint degree program, students from Coimbatore travel each year to complete their MBA degrees on UT’s Main Campus. In addition to his passion for education, Rangaswamy is an ardent environmental protection activist. He is the founder and secretary of the Coimbatore Zoological Park and Conservation Centre, focusing on ecological restoration, conservation, education and research. • College of Engineering — graduate commencement Thursday, May 1, at 5 p.m. and undergraduate commencement Saturday, May 3, at 3 p.m. Both ceremonies will be held in Nitschke Hall Auditorium. • College of Nursing — Friday, May 2, at 1 p.m. in Savage Arena. • College of Pharmacy and Pharmaceutical Sciences — Sunday, May 4, at 2 p.m. in Savage Arena. • College of Law — Sunday, May 11, at 1 p.m. in the Student Union Auditorium. • College of Medicine and Life Sciences — Friday, May 30, at 2 p.m. in the Stranahan Theater, 4645 Heatherdowns Blvd. This entry was posted on Wednesday, April 30th, 2014 at 4:30 am and is filed under Adult and Lifelong Learning, Business and Innovation, Engineering, Events, Languages, Literature and Social Sciences, Law, Medicine and Life Sciences, Natural Sciences and Mathematics, News, Nursing, Pharmacy and Pharmaceutical Sciences, UToday, — Communication and the Arts, — Health Sciences, — Judith Herb College of Education, — Social Justice and Human Service .